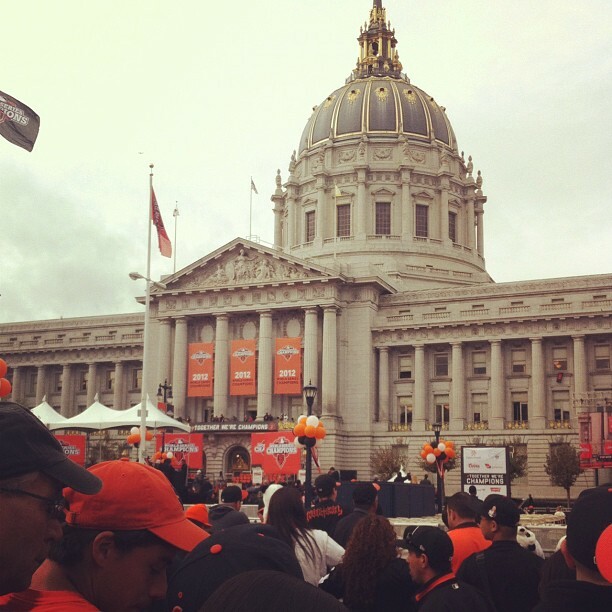 Today, the San Francisco Giants are having their victory celebration in downtown San Francisco. My essay last week about where science, religion and sports meet didn’t seem to open a lot of eyes, but it opened my own. I tend to have a future-oriented outlook on life, thinking about where we go next instead of where we’ve been, and working in the high-tech industry has amplified that way of thinking for me. But realizing that so many things we’re trying to say and do have actually been said and done thousands of years before, only in a slightly different way with a slightly different terminology, has sent me down a bit of a rabbit hole. I’ve been looking at all these old philosophies with a fresh new vision. Suddenly I understand how incredibly much I don’t understand, but that others have understood for a long time, in their own way. Human nature is static. Human knowledge is not. RT @baseclogger crazy this game has been played so long but stats are still being invented. But now I’m not so sure that’s true. Maybe human knowledge is static too, it’s just that the language we use to express that knowledge gets jumbled up every so often, like a generational Tower of Babel. And then we fight about that knowledge because we don’t understand each other. Hmm…there’s that particle/wave analogy again. My writing just seems to be going around and around in circles. But that’s OK. It’s not a journey. It’s music. Let’s dance.